The FP-250 anti-interference filters are based on a paper dielectric. They are used for attenuating radio-electric interference in electrical devices, especially in domestic appliances (washing machines, dishwashers, dryers, etc. ), but also in other devices. 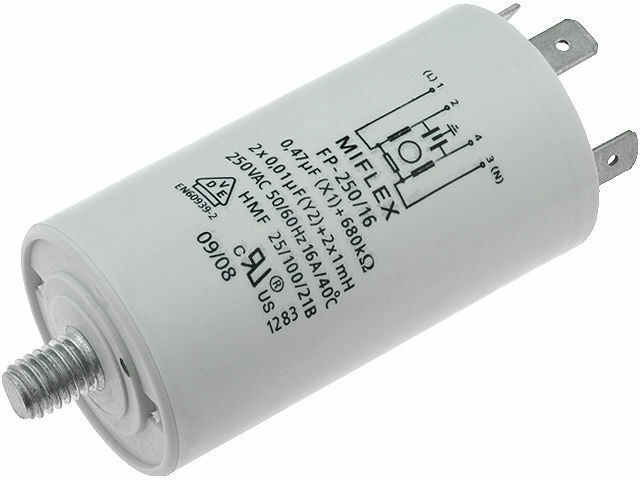 The filters come in compact cylindrical enclosures with M8 mounting screws, with connection leads or wires.